Do you belong to the kind of people who like to do every task manually? If yes, then also note that there are so many individuals like you who prefer reloading their own shotgun shells and firearm cartridges. Yes, we are talking about the survivalists and marksmen! While it is quite exciting and affordable, you must remember that reloading cartridges by own is really tough. Hence, consider investing in the best reloading scale in order to make the entire procedure easier. A few elements and features should be considered while purchasing a reloading scale. Make sure to choose the best reloading scale at the most competitive price and also consider the factors stated below as per your need. 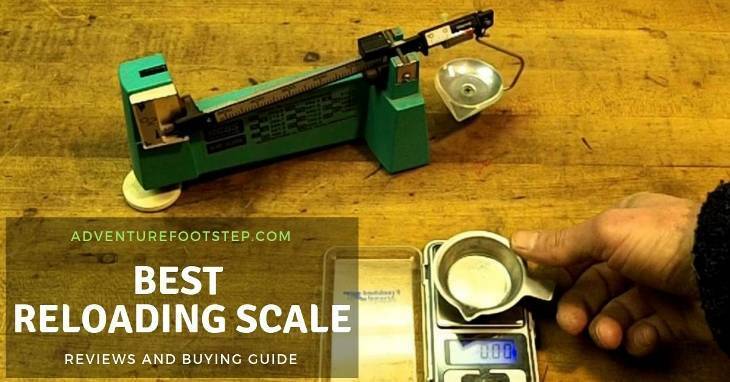 Your reloading scale must be accurate in terms of its performance. An accuracy of +/- 0.1 grain is pretty accurate for the device. These scales come in different sizes and shapes, hence, their capacity also differs accordingly. You must ponder how many rounds of ammunition you are reloading and the quantity of power is needed for every round. It will give you an idea about the capacity type you require. You could certainly weigh and measure many times, but having the capability of weighing all of the powder out in a single makes the whole procedure fast and leaves no room for error. Manual dispensing is the conventional reloading process. Once you weight the required powder appropriately, the charges will be distributed via a crank’s usage. Automatic charging scales reduce the manual operation. They can enhance the reloading speed, relying on the device. Hence, simply load the powder in the hopper, keep the empty scales, make the shells ready, and then click the buttons for activating trickling function, distributing speed, and particularize the required charges. The scale’s performance integrates both the accuracy and ability; nevertheless, a few extra features to seek that make their performance better. The AC-powered reloading scale needs a plugging device while you utilize it. For them, portability is an issue since they can’t be used outdoor. Additionally, power cut can spoil the situation if you don’t have any power backup. When you are out of ammo in the middle of a shooting activity, reloading becomes a necessity. And due to the portability, DC-powered scale becomes an amazing solution then. You can use it everywhere. But the only issue battery. You should always have extra batteries. Through the integration of AC and DC on a single scale, the issues of power efficiency and portability can be solved. Connectors offer AC power at indoor. A scale jumps to DC power automatically while unplugged. And this combination is best of three as you will be benefitted by both power options. Features like dust covers for preventing the gadgets from getting damaged or dirty, and removable measuring bowls and pots should also be considered. The measurement speed is an important factor but each is able to take up to 30 seconds for being sure for searching out for that. Optimal ammunition and security are two prime reasons why you should opt for a reloading scale. This device is very much important in order to maintain the relevance of the reloading procedure. Long-lasting investment: A good powder scale is a worthy investment that adds value to your money in the long run. Ammunition is costly and going through the reloading procedure can be the biggest saving as well. And the additional precision is a great advantage for the reloaders to own a good quality device. 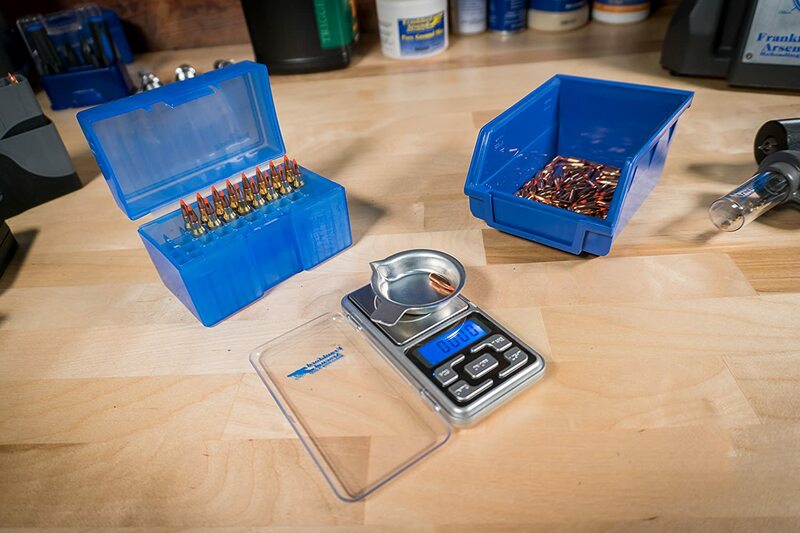 Choosing a reloading kit that incorporates a scale which is accurate, precise, easy to use, and long-lasting will make your investment worthier. 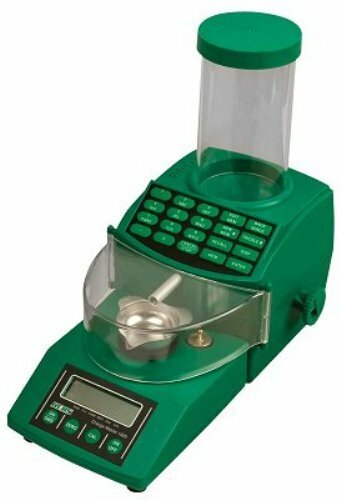 Ensure optimal safety: Free of complications and the ease of use are the two most vital features that your scale must possess as it decides its accuracy in measuring the weight of the powder that will be used for charging the cartridges. Being a complicated and tedious process, reloading must be done free of complications and hassles. 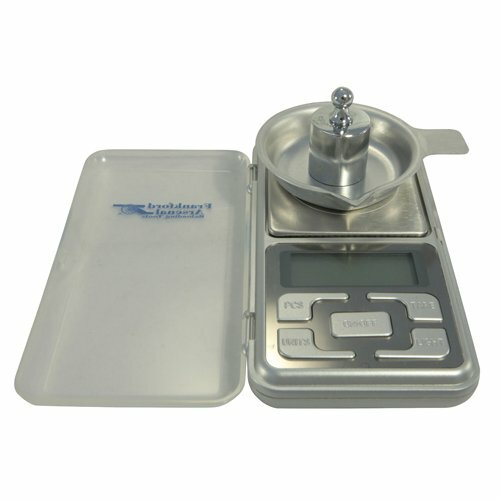 And using a reloading scale makes sure optimal safety and accuracy of the process. Anybody would love to use the Frankford Arsenal DS-750 Digital Reloading Scale because of its simplicity, better design and appearance. Every user gets attracted to buy it due to its hassle-free usage. Its backlit LCD display is easy to understand and read. Designing with the auto-calibration feature, it can measure in ounces, grains, grams, and carats. It provides both counting and tare functionalities. This energy-saving scale can shut off after 60 seconds of inactivity. 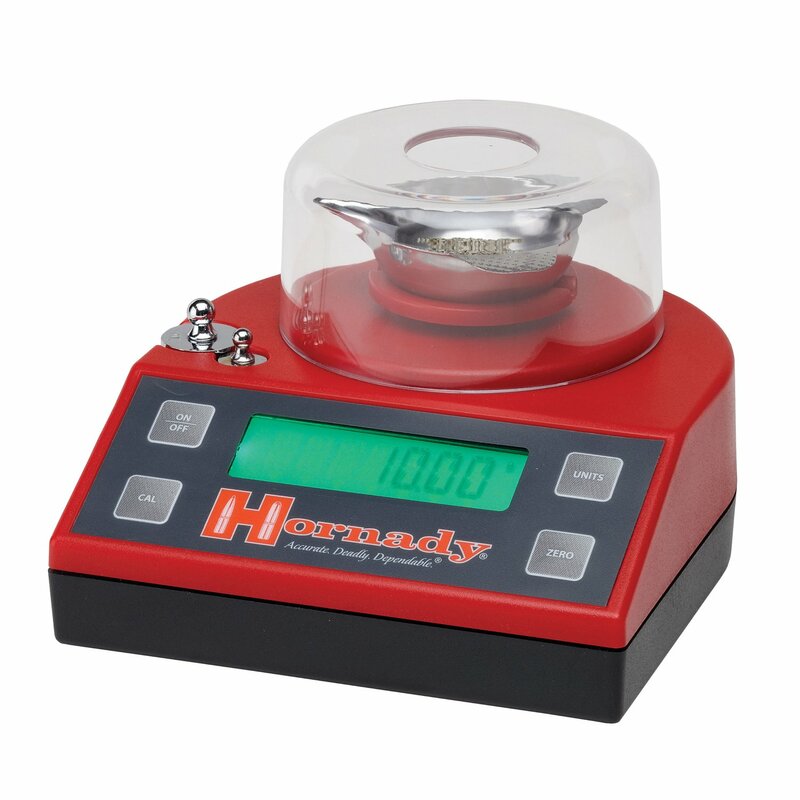 The Hornady Electronic Scale is another device that is simple, easy to install and works with extreme consistency. Its easy design makes it enticing because its hassle-free functionalities are convenient for the users. It adds more confidence in a user while performing the shooting activities. It also features the 3-speed settings like normal, slow, and fast for dispensing. Assuring overcharge protection is one of the best features of this device. It warns the user regarding the overcharge. Works with amazing precision with its load cell. The Lock n’ Load Auto Charge makes it a great addition to your reloading kit. With the capacity of 1500 grains, it can weigh cartridges, powder, cases, and bullets. Features an LCD display to make the reading of precise weighing easier than before. RCBS Combo 110V-AC Chargemaster is greatly utilizing 2 calibrations weighs each in 50 grams that’s an amazing factor in explaining the attaining accuracy and calibration slope in the calibration zone. It enables the users for inputting the desired weight by utilizing the easy-to-use keypad on its dispenser area. The most advantageous feature of this scale is that it provides the extreme comfort of using and cleaning it with the help of the powder using the dispense button. With proper maintenance, it can last for long. It can be concluded that the Frankford Arsenal DS-750 Digital Reloading Scale is extremely cost-effective and designed as per user convenience. It really exceeds users’ expectation at the time of usage. Users really appreciate it while comparing with other high-end brands available in the market. In comparison with other brands, we find it really inexpensive and it assures the most value of your money spent on it. Check out my recent post about best ar-10 scope on the market.